The Institute of Payroll Training and Management popular as IPTM Noida was established in 2007, keeping in mind, to provide professional education, skill development and training for Payroll Processing & Statutory Compliances In India. We intend to provide career-oriented & professional payroll training for Indian statutory compliance & direct taxation and certified to students as 'Payroll Professional' to get opportunities for professional networking, career and business development and bring our students into the modern chartered environment with payroll training experience from beginning to end. The motto of the Institute LEARN.DEVELOP.UPGRADE.GROW, very clearly lays out the path for professional growth with sole slogan "Payroll is my Passion". The Institute specializes in developing and updates new areas in professional growth and skill development and delivering them through their unique courses. The Institute develops the courses right from concept, develops industry focused/ need focused curriculum and innovative course delivery models, keeping in mind a working professional and new entrants in the profession. Institute focuses on short term, modular courses that can help apprentice easily understand key concepts and theories and apply them to their practices and profession immediately. We intend to provide career-oriented & professional payroll training of Indian statutory compliance & direct taxation and certified to students as 'Payroll Professional' to get opportunities for professional networking, career and business development and bring our students into the modern chartered environment with the best online training experience from beginning to end. To Help every organization to hire or recruit certified Member. To be a top ranking Payroll Institute of choice for students, staff and corporate, recognized for excellence in Payroll Training and certification with the slogan of institute "The fastest and easiest way to learn Indian Payroll and statutory compliances." India's most preferred Institute of students & working professionals even corporate and brilliant experience of long journey from February 2007. * Classroom learning provides structure and motivation. * Develop a common payroll language that will optimize efficiencies, avoid costly mistakes, and save money. * Ideal for payroll practitioners and those supporting the payroll industry. 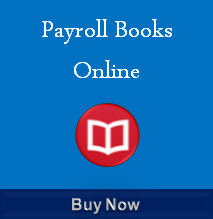 * Providing keep up-to-date knowledge base for experienced payroll professionals. * Providing the knowledge and skills required for advance payroll processing. * Take advantage of significant volume discounts to maximize your raining budget when purchasing IPTM Payroll software or Fundamentals of Payroll materials for your group or companies. The Institute of Payroll Training and Management popular as IPTM was established in 2007, keeping in mind, to provide professional education, skill development and training For Payroll Processing & Statutory Compliances take in undertaking associated to Salary Components and shall help to students and working people to be certified, competitive and knowledgeable in their area of perform. Find out more about what it’s like to work at IPTM, where we work and who drives our company strategy below. The Institute of Payroll Training and Management (IPTM) is India's first corporate training and skill development Education Institute and providing Training in Management and Technical skills (Specialization in Payroll). Following are some specialization of Training at Noida (Delhi/NCR) Training Center by the unique approach combined with strong faculty of experts. The Complete Manager, Effective Crisis Management, Effective Business Communication Skills, Conflict Management, Effective Selling Skills. We are helping to people unravel their hidden potential. To build upon their strengths and empower them to transform the odds in their favor. Classroom learning provides structure and motivation. Choose the self-directed or online instructor-assisted format. IPTM Self-Study workbooks teaches you all the essential aspects of using excel and payroll software on a day-to-day basis. Would you like the convenience of learning from your own desk, when you need it? Self-paced Training is the choice for you, providing the ability to learn when you have the time, allowing you to be as productive as possible. IPTM was just a few years old and we will revisit in “believe” section to see if it still holds true time to time. "Through Payroll Training, we are dedicated to develop the potential in disadvantaged professional India who are committed to the sustainable development and natural conservation of India". We achieve this by providing education opportunities to North India and post-secondary institutions – as well as by supporting Indian primary and secondary teachers to mentor their students to give back to their communities. We constantly look for people, who always wanted to contribute through their experience, while making a good business sense. we look forward for following types of partners; if You/your organization fits into the criterion. - Justoncall Services Pvt Ltd.
- PAYNITI Services Pvt Ltd. The Institute conducts the following programs. - To enable the students to acquire sound technical skills in Payroll accountancy, provident fund and ESI schemes, Payroll auditing, Salary marking, income Tax deduction, save tax on Investment and educate to an organization people about tax deduction and saving schemes, financial management, corporate and lobar laws, direct and indirect taxation, Information Technology and related subjects and fields. - To train to provide theoretical education, practical training and computer training of the students undergoing payroll training course. - Encouraging young talented students having aptitude for payroll accounting education to make an early entry to the profession. 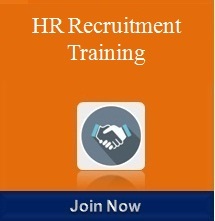 - Creating employment in Payroll and Human resource department. 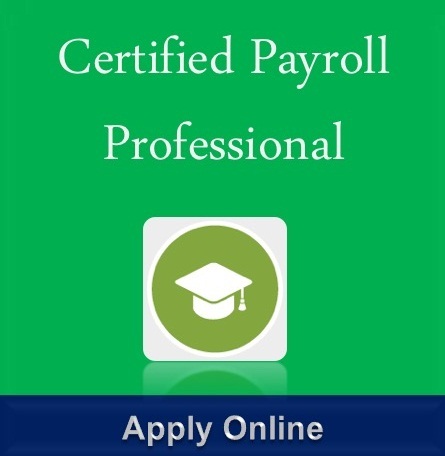 - To provide opportunities to work as payroll professional. - Opportunity to acquire additional skill under graduate and post graduate. The faculty is the principal driver of change through their direct involvement in every aspect of the Institute: academics, governance, research, and consultancy. They combine the very highest standards of teaching and mentoring with diverse backgrounds as eminent entrepreneurs, policy makers, researchers, theoreticians and consultants. The rich diversity of their backgrounds install in the students a continuous desire to achieve excellence. IPTM faculty members are active and regular participants in international conferences and practice in payroll. They contribute to international journals and collaborate with a broad range of agencies to develop and execute consultancy projects. To be able to face the challenges The IPTM Group of Institutions is born with a mission to initiate innovative teaching and to emphasize on faculty's research-productivity in order to inject creativity among the students in an atmosphere soaked with the fragrance of creativity and critical thinking. The goal is set through a monolithic approach of educating the students in a tutor-and tutee environment that helps them to develop their intellectual, emotional, spiritual and physical powers in an atmosphere soaked with the fragrance of research (creativity and critical thinking).